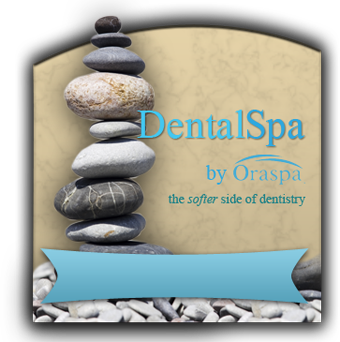 Hear the Truth About Flossing From a Dentist in Upper Arlington! Do you feel like you’ve always been told to floss, but you haven’t been told exactly what it will do for you? Don’t worry – we understand! As a dentist in Upper Arlington, we hear this question a lot, so we thought we’d write an educational blog to help you make an informed decision about whether to add this habit in your daily routine. 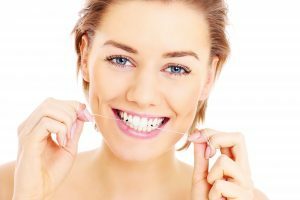 If you’d like the scoop on what flossing can do for you, as well as the best technique for maximizing its benefits, keep reading to learn more. You’ll be on your way to fresher breath, fewer cavities and healthier gums in no time! In a nutshell, flossing is important because it’s the only thing that can remove plaque from certain areas of the teeth and gums. Plaque is a bacteria-laden, sticky substance that causes cavities, gum disease and bad breath. A recent Web MD article about the importance of flossing made two excellent points: The first is that part of what makes flossing a hard habit to establish is that it doesn’t have any immediate payoff, and many people simply aren’t as motivated by long-term benefits! If you can relate to this, one way to overcome your human nature is to remember how grateful you’ll be to minimize the amount of dental work you need. The second good point in the article is that teeth have five surfaces, and brushing can only reach three of them. By not flossing, you’re missing the two surfaces that are in between the teeth, where they touch. This is a common area for cavities. What’s the Best Way To Floss? As with most things, there’s a right and a wrong way to floss. Although the best way to perfect your technique is to ask your dentist or hygienist to help you at your next checkup, here are some tips and tricks to help you be successful. 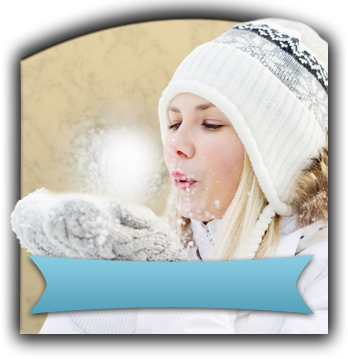 Find the right floss – There are many different varieties of floss on the market. Find the one you like best and stick with it. The best kind of floss is the one you don’t mind using! Use hygiene aids if necessary – If you have dexterity issues such as arthritis, using regular string floss probably isn’t possible. Thankfully there are several tools and hygiene aids that can help, such as floss handles, waterpiks, thin toothpicks and powered flossers. Floss with a C shape – Start with about 18 inches of floss and wrap it around your index fingers. Using your index fingers and thumbs, gently work the floss in between the contact point where the teeth touch, then slide it up and down several times on each side, being sure to take it under the gumline. Use a clean piece for each pair of teeth. Remember, putting in the time to floss is half the battle! Once you’ve got that part down, it’s worth it to learn the best technique so you’re getting as much benefit as possible out of your efforts. Now that you know a bit more about how flossing can keep your teeth and gums healthy, you’ll be more motivated to start this important hygiene habit! As part of their dedication to their patients’ oral health, Dr. Angela Courtney and Dr. Christy Cox always take the time to educate about the importance of good hygiene habits. They understand that preventative measures like flossing can minimize the amount of dental work their patients need over the long term. If you have any questions, they can be reached via their website or at (614) 451-7393. Comments Off on Hear the Truth About Flossing From a Dentist in Upper Arlington!